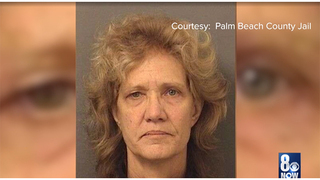 LAS VEGAS - Amy Fleming, 60, formally Luster, is facing an open murder charge for the death of 3-year-old Francillon Pierre in 1986. She was arrested in Florida where she now lives. In a news conference Monday, North Las Vegas Police said torn bits of letters between Fleming and her husband, Lee Luster, were just some of the pieces of evidence that led police to get a warrant for her arrest. In wake of Fleming's arrest 8 News NOW wanted to share some past stories from when the case during the 80s when North Las Vegas Police detectives first started working the case. There was a lot of skepticism surrounding Fleming and her then-boyfriend Lee Luster's account of what happened.